Forage meal (Lucerne), Methyl sulphonyl methane, Carrot (dried), Milk thistle seeds, Dextrose, Gingko leaves, Omicha berries, Wheat protein, Hawthorn berries, Blueberries, Rosehip shells, Dandelion leaves, Turmeric, Chlorella (dried), Ginger, Rosemary, Licorice, Rapeseed oil. Vitamin E 3a700 1,500 I.U. Feed Respirator on recommendation from your vet for clear, healthy lungs and optimal breathing capacity. 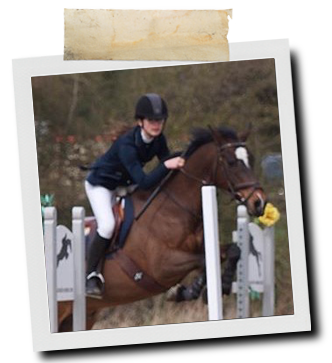 Hannah Mcdonald and Llainweddfa "I really do appreciate your company's products and have seen great differences in the horses after using them. We have almost your entire NaturalintX first aid range in our lorry, we use Five Star Respirator on my pony as he often gets coughs and we have found this a great help! Paint It Black never ceases to amaze me! It last forever and stays shiny! Thank you!" 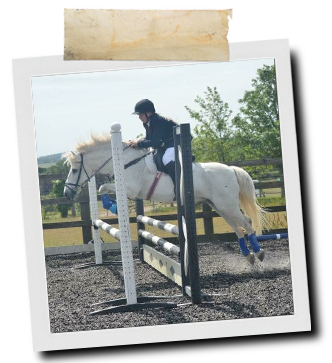 I've tried various sprays, shampoos and detanglers and none seemed to do the job, it never looked like I had used anything on my ponies until I tried the NAF Range! I use Silky Detangler, Shiny Coat Spray and Wash & Show for reds and greys - it's great! My ponies' coats look lovely and people always comment on how I get them to look so good! I compete all over the country in mounted games, I have produced all my ponies and they love it! I also compete my mum's Irish sports horse in show jumping and with him being a dark bay nearly black the sun shines off him! I always tell people I use NAF! I also feed Respirator in the summer for one of my ponies as she gets affected by the pollen, and she has much improved. Silver (Crown Silver Cloud) an 8 year old part bred Arab owned by Roslyn Stewart. Roslyn has been using NAF products on Silver for 4 years. 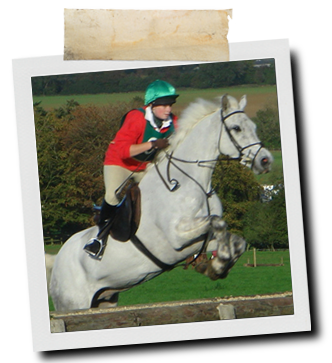 They compete in dressage, along with showing at both local and County level in small hack and part bred Arab classes. Through the summer months, Silver is affected by the increased pollen and dust levels, which affect her airways and cause her to shake her head. Roslyn now feeds Respirator and has noticed a big difference in Silver's health and behaviour - she is now much happier during the summer months. 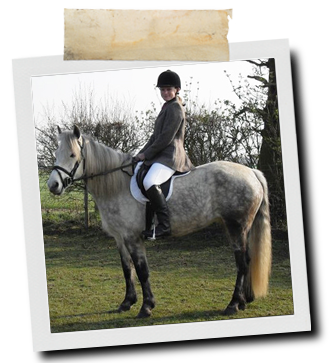 May, a 7 years old, 14.1hh Connemara Mare owned by Martine Webb. May was having veterinary prescribed products for her respiratory system, but they did not appear to be helping her. Martine was about to give up when she decided to try feeding Respirator. 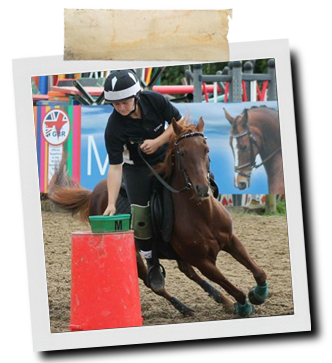 After just 2 weeks, Martine saw a significant improvement and they are now able to ride out happily together, and even take part in some shows. 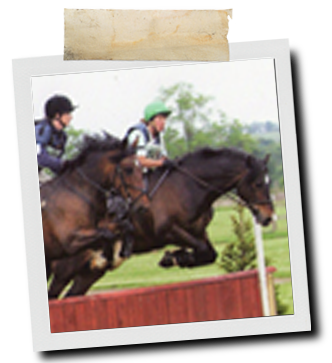 Llanwen Deio (Llani) owned and ridden by Jane Taggart. Llani can be heavy in his wind which can affect his respiratory health if not managed carefully. Says Jane, "Llani is now on Respirator, it supports his respiratory system so well that he now has no problem getting round in the time allowed."